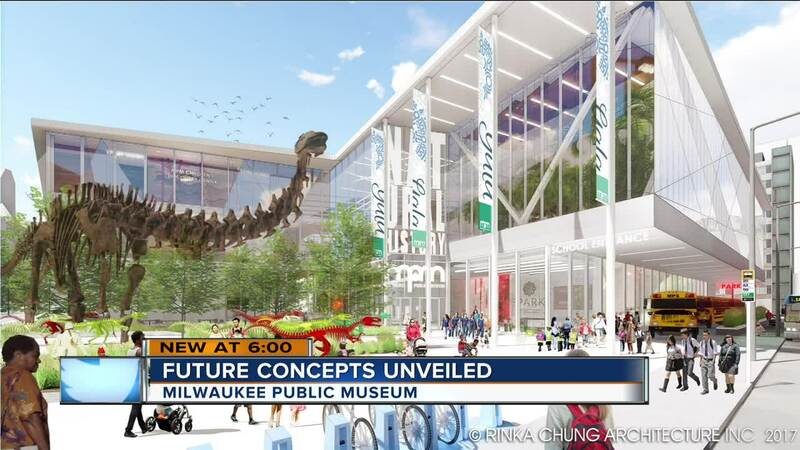 The Milwaukee Public Museum has been working closely with internationally recognized museum planning and design firms as well as renowned local architects to create a picture of what a future museum may look like. MPM interviewed more than 10,000 Wisconsinites at the museum, throughout the city and at events across the state in order to create a museum tailored to the community's needs and interests. MPM Board of Directors decided that advancing a new building was the best choice for the new museum as part of MPM's re-accreditation plan, addressing challenges in the current County-owned building's disrepair. There are various designs for the future museum created by major museum design firms across the country. The Rinka Chung Concept from Rinka Chung Architects. The new museum will be the fifth home of the Milwaukee Public Museum. "The MPM of the future will be a lively family destination, a research partner with local universities, a tourism attraction and an economic driver, and strive to help us all understand where we've come from and where we're going," said Dennis Kois, President and CEO of MPM. The museum hopes to break ground in 2022. For more information on the future museum go to the Milwaukee Public Museum's website.